Questions about the difference between ‘cross and gravel bikes? We’ve got you covered. The appearance of the gravel-specific bike in today’s market, after the road bike, is rather backwards. 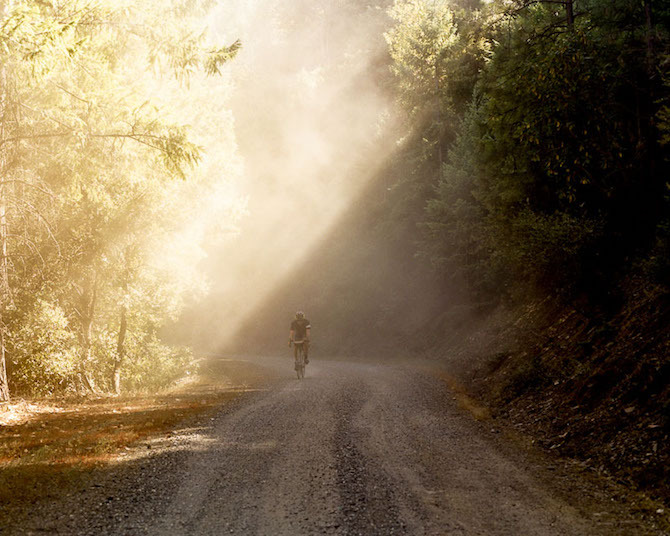 What came first – the dirt road or the paved road? Dirt, of course. Now, with the evolution of the gravel bike, the ability to get out there, anywhere, is a realistic adventure for everyone. Raleigh got its start in the dirt. In 1887, roads were nothing but dirt and cobbles. Recently launched, Raleigh's 2015 gravel bikes are an indicator of where the brand began, and come fully equipped for those rough roads. Named after infamous weathermen, the Willard and the Tamland are aluminum and steel, respectively, gravel-specific bikes that are harnessing the soul of this style of riding. Disc brake-equipped for no-excuse mud tolerance, short head tubes keeping the center of gravity down, and confidence-inspiring geometry are paving the way for explorations right out the back door. Limiting yourself to where the pavement goes means missing out of thousand of miles of surface that can lead to amazing places. 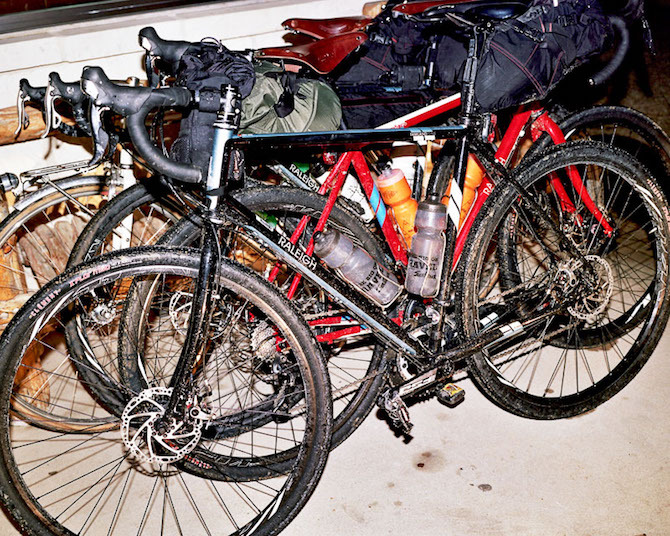 With the gravel category now in existence, there’s a natural question of the difference between gravel and ‘cross bikes. Much of it comes down to geometry and how the bike is intended to handle. Cyclocross bikes need to be nimble, quick through turns, able to accelerate quickly, and preferably comfortable when shouldered by the rider. For steering prowess, the frame’s chain stays, running from the bottom bracket to the rear hub, will be shorter, decreasing the bike’s overall length. This geometry allows a rider to maneuver more easily through tight terrain. For example, a Tamland’s chain stays are 1.5cm longer than Raleigh’s RX ‘cross bike. A rider doing an epic on rural backgrounds aboard a Tamland isn’t after a bike than can do a quick 180° turn after a run up, so the bike will be longer and more stable at speed, precisely what is needed when churning through miles on rough roads. Of course, ‘cross bikes are frequently carried over obstacles. The shape of a cyclocross bike’s top tube will usually be designed around the ability to comfortably rest on a shoulder and will tend to be flat on the underside, helping to disperse the weight of the bike. Tire width will be a defining characteristic between the two types of bikes, as well, especially within Raleigh’s offerings. Most competitive-minded ‘cross bikes are designed around a tire size of 700x33c, with 33 referring to the width. Raleigh gravel bikes are capable of using 700x40c tires, perfect for the deep gravel encountered on the shoulders of country roads. No matter your perfect bike, or your destination, get out there and ride. Specific questions on ‘cross vs. gravel? Ask us on our Facebook page.